Unlike all the other wood types, Everwood is as tough as Obsidian, requiring a Diamond Axe to mine (10 seconds). It also poses the same blast resistance as Obsidian, allowing you to have nice wooden structures that are also blast resistant. It cannot catch on fire. This makes it safe to have an open fire pit in your base. Surely, the thought of ultra-tough wood would cause people to actively seek out these structures. Let's take a look inside, and see what we can expect to find! The main hallway when you first enter the temple. There are 5 rooms to explore; this is the first. The room on the left takes the appearance of some form of church service, which gives the impression of some sort of cult being here. The room on the right is growing an Everwood Tree. 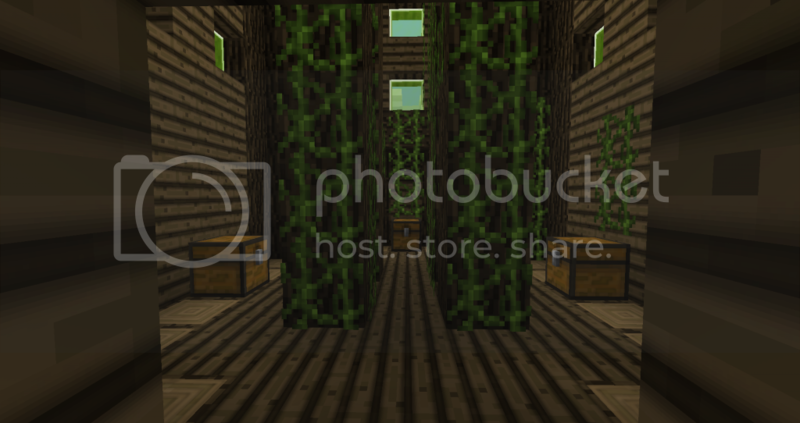 This is the appearance that these trees will take when you grow your own (The leaves are still indestructible). Due to the low Leaf Block count on these trees and their thick trunks, sapling and apple drop rates are much higher, yielding a fantastic food source! 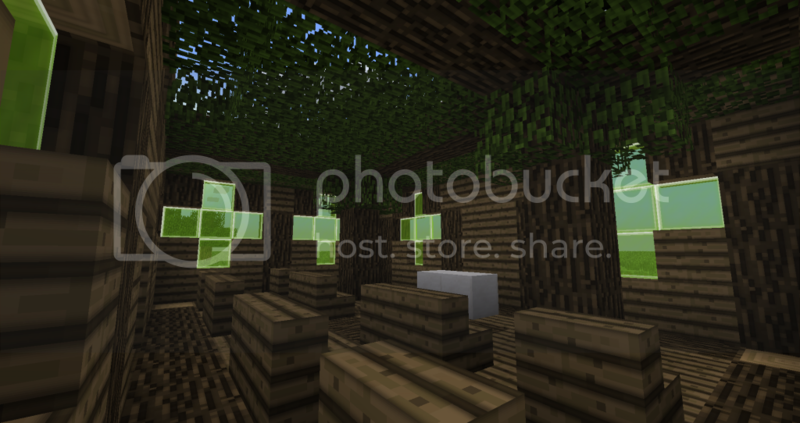 In the main treasure rooms, natural items, such as various seeds, saplings, and food items make an appearance. 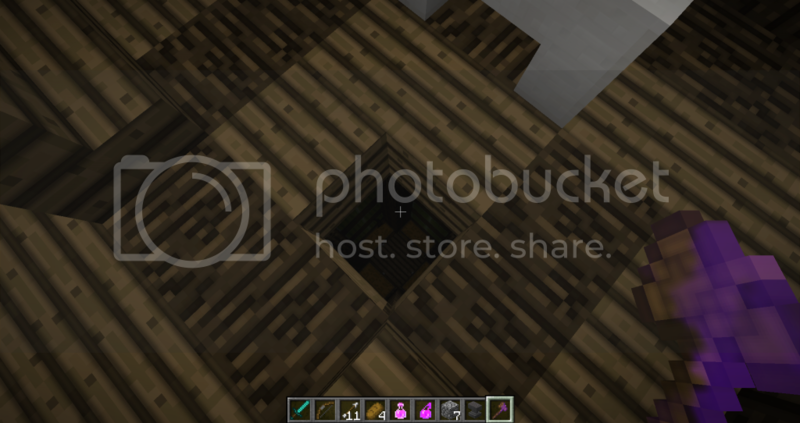 Rarely, Iron Ingots and Gold Ingots can appear. ...and find a secret area at the top! 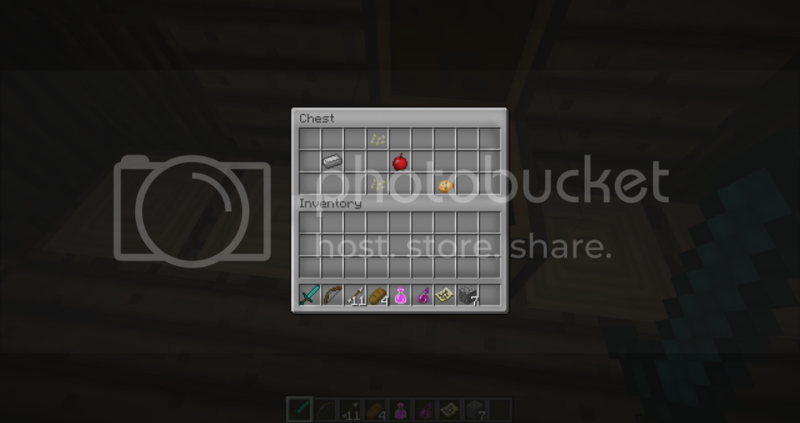 This treasure room has slightly better loot - a few examples are fully prepared food items, such as soup, as well as wooden tools with extremely powerful enchantments, for example. 1.2: Nerfed Everwood to behave like Obsidian, Main Treasure Room and Secret Treasure Room loot tables nerfed, Removed Everwood Axe. The beacon that's there is unpowered - will not grant any buffs - and it's base is 9 blocks of Emerald. 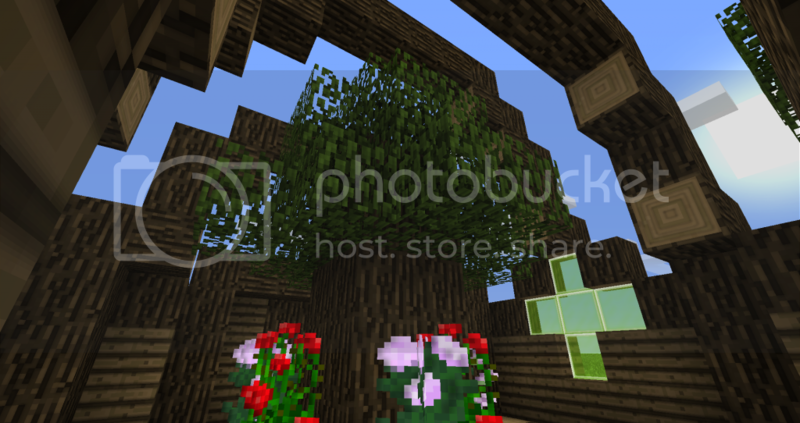 The blocks themselves are protected by Everwood, requiring the Everwood Axe to gain access. The Temple is basically one big goodiebag. I like the design of the structure of it but I am really not a fan of dungeons with virtually zero challenge and lots of free loot; especially considering the Ocean Monument is the hardest dungeon in the game but has next to no loot to speak of. And the structure doesn't vary at all; I can't tell you how much I hate how the traps are always the same in the two temples. 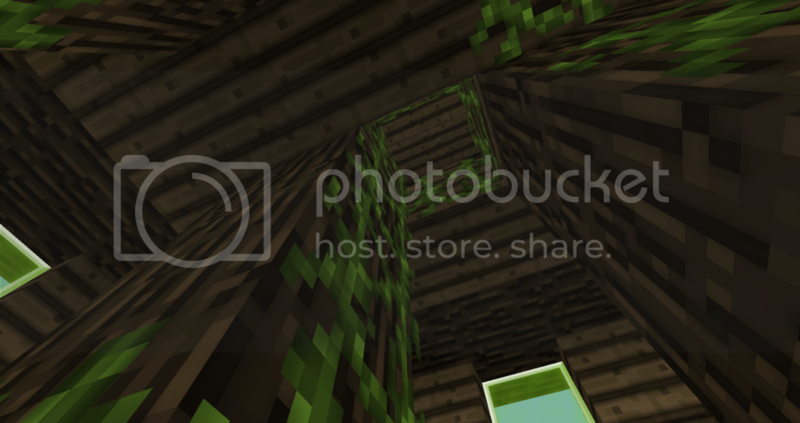 Plus, there's a beacon; finding an Everwood Axe and nicking the Beacon (assuming you can't just pillar up over the structure, drop in, and snag the beacon since the only thing covering it is glass; you can then nick the 81 emeralds too since they'll be directly covered by the beacon, which is mineable) is a lot easier than going through the tedium of bashing wither skeletons for their skulls for several hours and gathering the heavily-enchanted gear and potions you practically need to fight the Wither. There'd basically be no point in fighting the Wither any more... although, that might not be such a bad thing. Good riddance to that poorly-designed scrap of code. All in all, this is an idea I really want to like but it's basically everything I don't want to see in a structure combined into one structure. Sorry, but no support. (Also, since Savannas contain a good deal of Savanna Plateaus, you're going to see a lot of temples there... especially since the biome grouping thing will make lots of savannas appear near eachother). I like the overall concept, but I think that the beacon and the emerald blocks under the beacon would make this a bit too much. Just think about it: to obtain a beacon, the player must kill at least (on average) 120 Wither Skeletons to create a Wither, defeat it and get a Nether star to make a beacon. This would make acquiring a beacon much too easy, because all that the player would have to do would be to find one of these temples and harvest the beacon. Same with the emerald blocks. The acquirement of emerald blocks takes lots of trading / mining, and it would be much too easy to just enter that temple and harvest the blocks. Other than that, I really support this. I really think that since there are desert temples, jungle temples, and ocean monuments that the forest need not to be neglected. 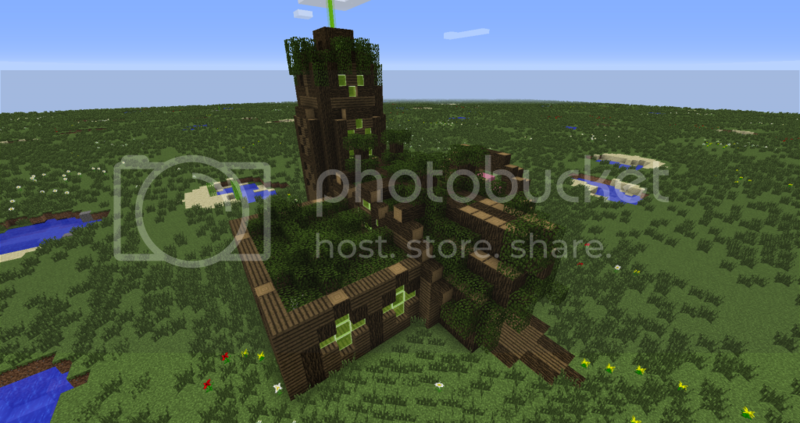 Perhaps the Beacon was pushing it a bit, however, I wanted the Forest Temple to stand out from the forest around it. In a very dense Dark Forest or Mega Spruce Taiga, where the trees can overshadow the temple, players might pass it by and not even know its there, while the unmistakable orange clay of the Desert Temple, mossy stone of the Jungle Temple, and the lit up top of the Ocean Monument are dead giveaways, even from a distance. 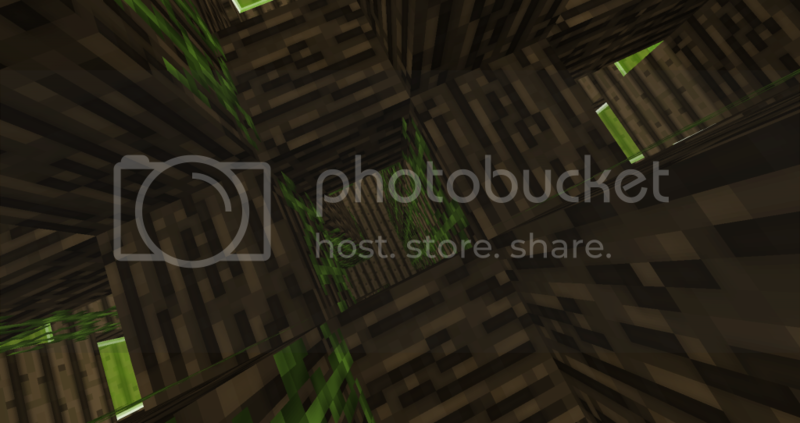 Maybe the Beacon that exists within the Forest Temple can be downgraded to a purely cosmetic version, and the Emeralds be removed. For the secret 6th room, perhaps it should have the Pyramid's loot table instead of the current one? I like the general concept, but they don't have any challenge, I think you should add traps or monster spawners, it's up to you. I think this is cool. Maybe you could include it in a map or a world download for part of a random structure generator. However I doubt mojang will implement this- partially because they were now bought by microsoft, and I haven't seen any news for a new update ever since. So I suggest you add it in a mod or a command block thing. I would rather have it spawn in just dark forests, as opposed to any forest biome. Forests just seem to regular to contain such a magnificent building. I think that this is a great concept, but like others are saying, it does have not very much challenge. Also, I think that the chance of getting the Everwood axe is a little bit too low. You'd have to find a lot of forest temples to get an Everwood axe and therefore the everwood, but the chance of even finding the temple is low in the first place. 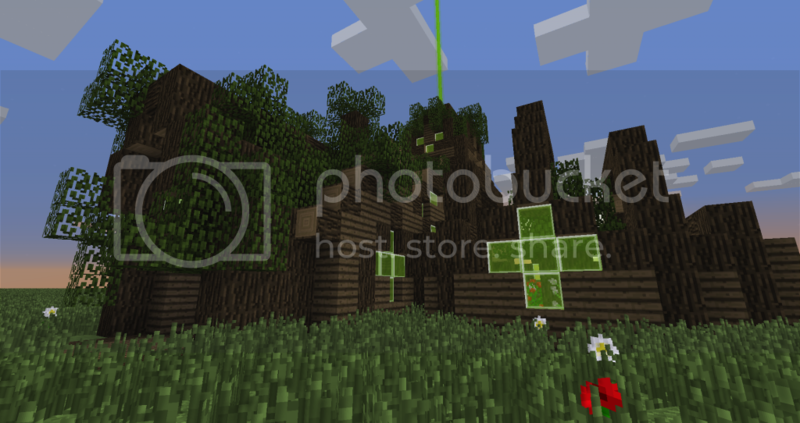 The temple only spawns in 3 forest variants: The Dark Forest, Mega Spruce Taiga (which occurs in the middle of a Mega Taiga), and Flower Forest. What would you suggest for the spawn rate of the axe? 30%? Maybe it could stand to add a few traps, but I thought that the place being indestructible until you got the axe was challenge enough. Make them possible to spawn in forests. Just regular old forests. Maybe just anything someone would consider to be a forest, such as Birch Forests, Taiga, etc. They can still be rare if they are at least possible in a variety of places. The Everwood should not be completely indestructible. This presents two problems. First, this would be terribly OP in PVP servers with griefing enabled, as someone lucky enough to find this would be unable to be griefed at all. If you make this common then everyone would pretty much need this or they would lose. With it being rare as it is one person basically just gets to have an ungriefable house MAYBE if they even find it. Second, someone COULD trap themselves should they drop the axe in lava or leave it in a chest while boxing themselves in with the wood. This is a small problem but still a problem. I would suggest making it breakable identically to Obsidian, and obtainable with a Diamond Axe like Obsidian is obtainable with a Diamond Pickaxe. The Everwood Axe can still be indestructible and chop those like normal wood. I never see anyone suggest this when they suggest structures, but how about some kind of randomizer, so that not every temple is the same with the exact same identical layout. Not every Nether Fortress has the same layout, so I know it would be possible for this to not have the same layout every time. The structure should have traps and possibly mob spawners encased in Everwood. Perhaps a miniboss or some other kind of mechanic that gives Mining Fatigue when inside the structure so it can't be mined, like with the ocean monuments. I like the your suggestion though, you may want to remove the beacon because it may make the forest temple easier to spot from afar(players with high render distance). Maybe add some traps too. Overall, I like it. 99% Support! 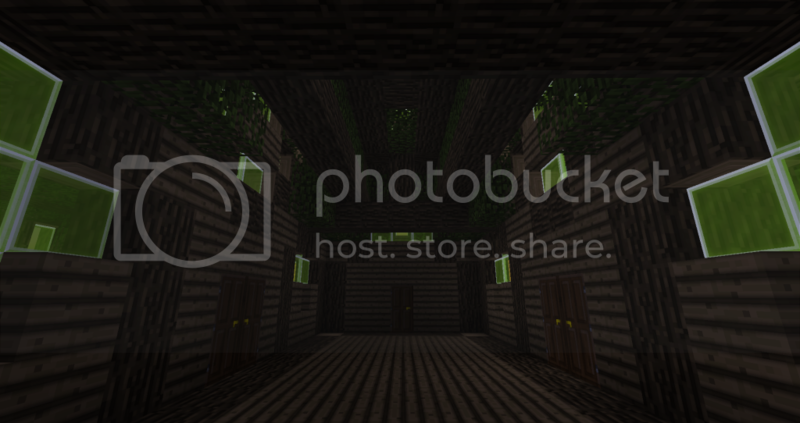 Btw: What resource pack is that? Is it available for 1.8? I kinda like it. I don't like the fact that you can only get Everwood with a super rare axe. I would say keep it very blast resistant but remove the invulnerability and the axe, because if the wrong player finds this structure he can grief with it like crazy. I would say instead of that make it like the Obsidian of trees, only breakable with a Diamond Axe and taking a while to do so. Also, this totally needs a unique texture, not just existing textures plus enchantment sheen. What we could really use is a nice deep red for planks. Maybe the bark is dark brown (nearly black) and the other wood is red? I actually like this. You explained it fully and very detailed, and the new wood is a pretty good idea. I think the structure looks awesome. However, one question. 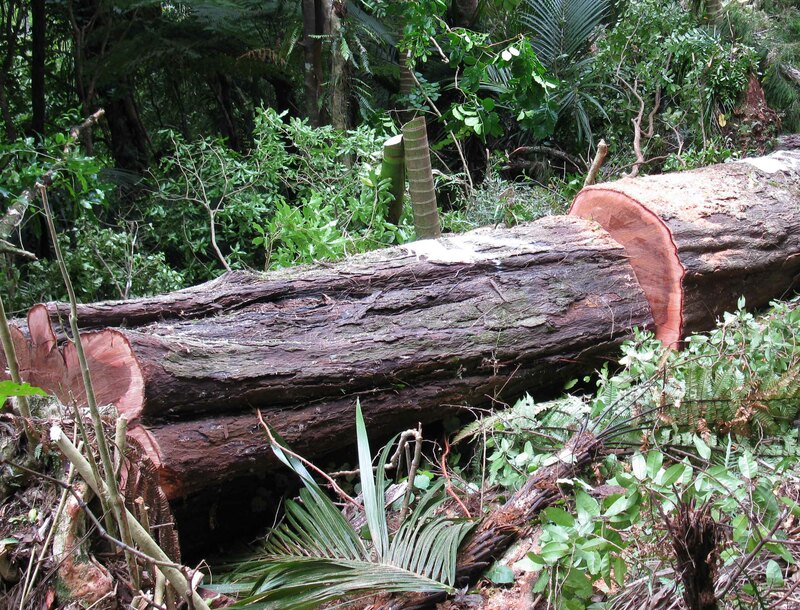 Is it possible to destroy the everwood at all without the axe? I mean, I like the idea about it being really hard to destroy, but I think that having a chance to not be able to destroy it all is a little too far. Maybe you need a diamond axe? That would work, because you need a diamond pickaxe to get obsidian. Or maybe an axe that has the highest level of efficiency? Overall, about 90% support. I think there should be a way to destroy the wood without the special axe, though it should be hard. are you meaning a wood like this? I like this except the beacon may be a little OP, maybe we could add something in like a redstone lamp on top of a tower? Anyways SUPPORT!!! But, if there is one, I have to say, it is too OP. So, no support to that, either.